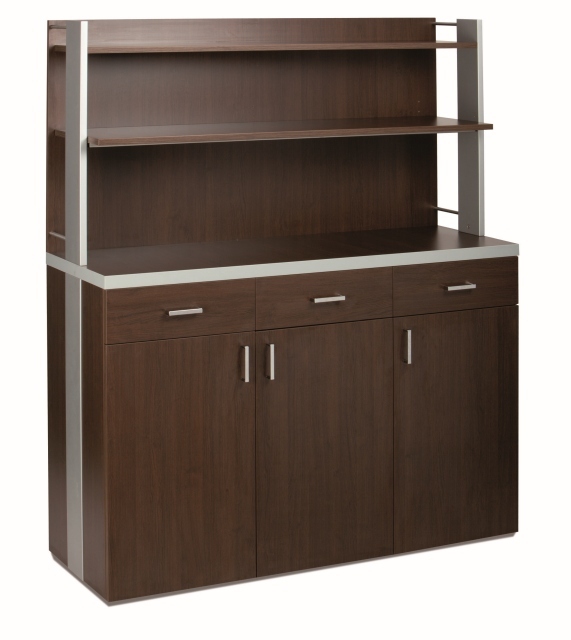 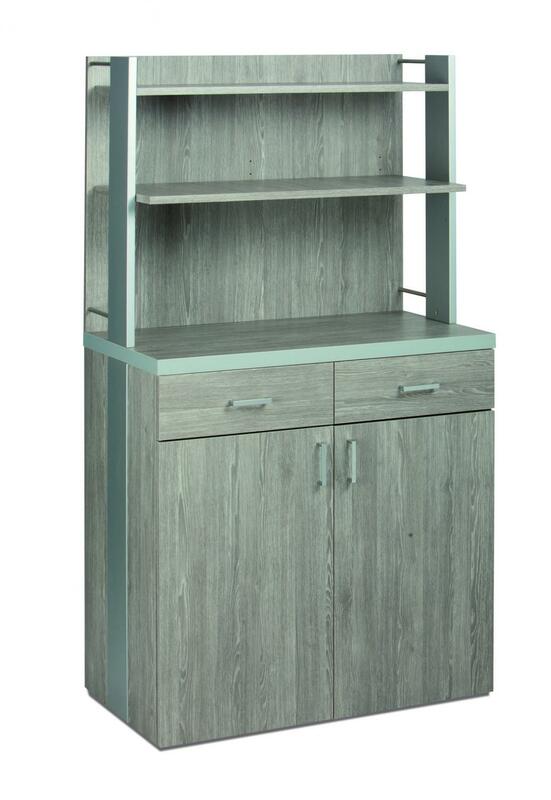 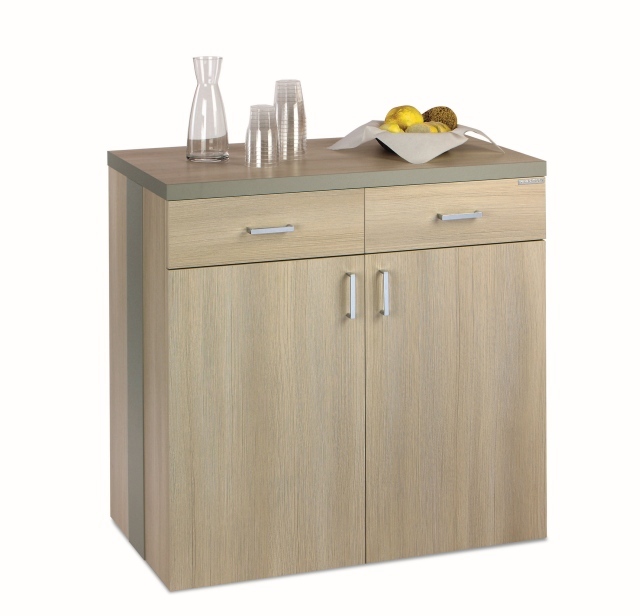 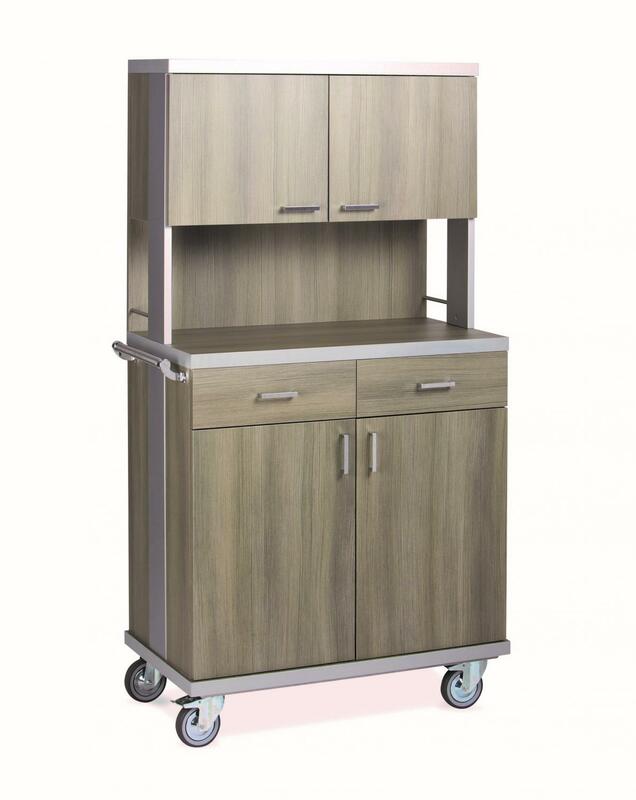 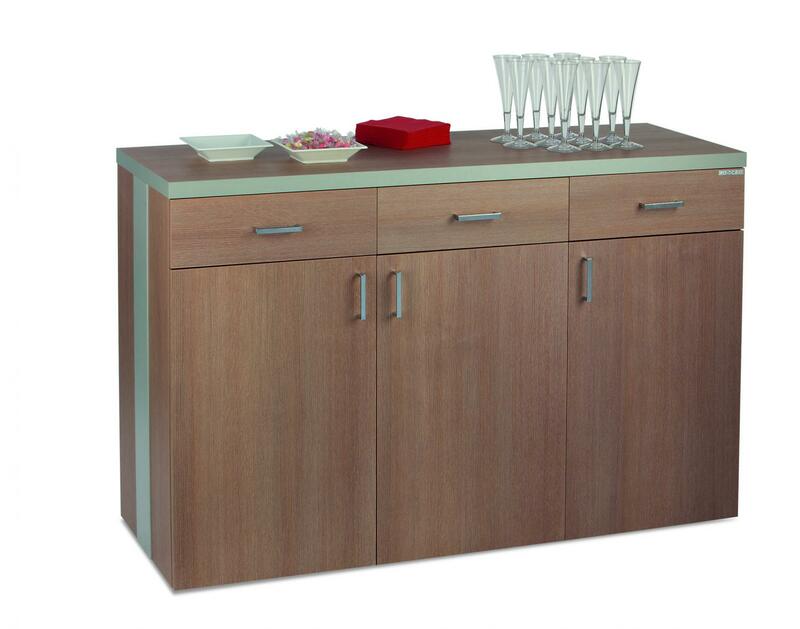 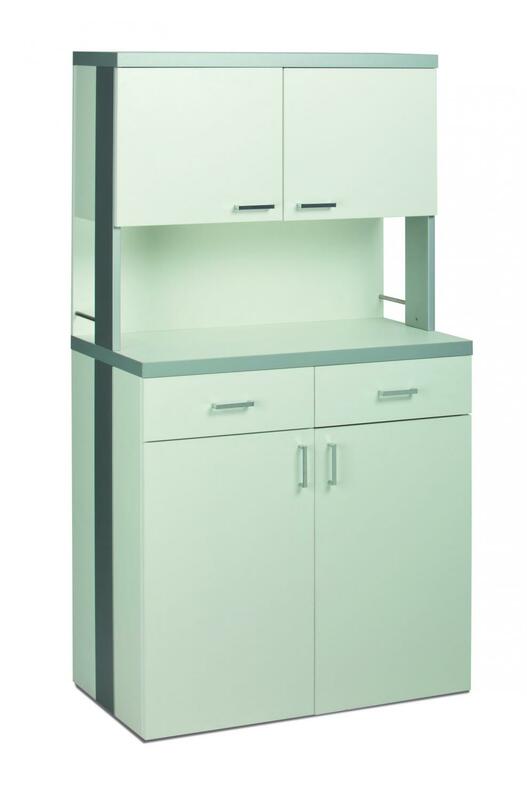 Modern waiter stations on castors made of laminated wood with aluminium-look details with drawers, doors and an upper middle shelf that can be height adjusted. 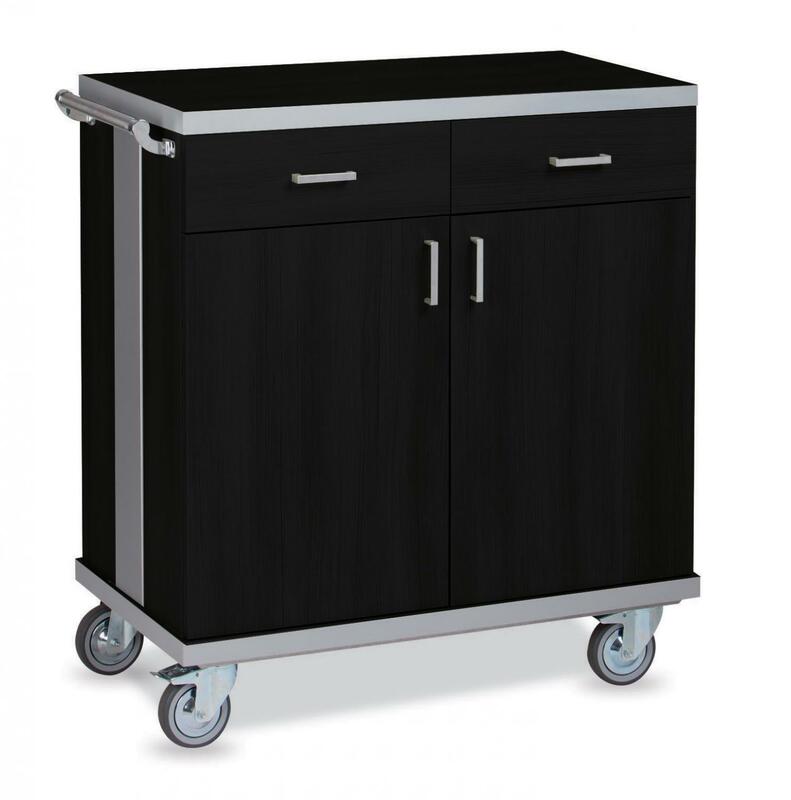 Modern waiter stations on castors made of laminated wood with aluminium-look details with the upper part closed by doors. 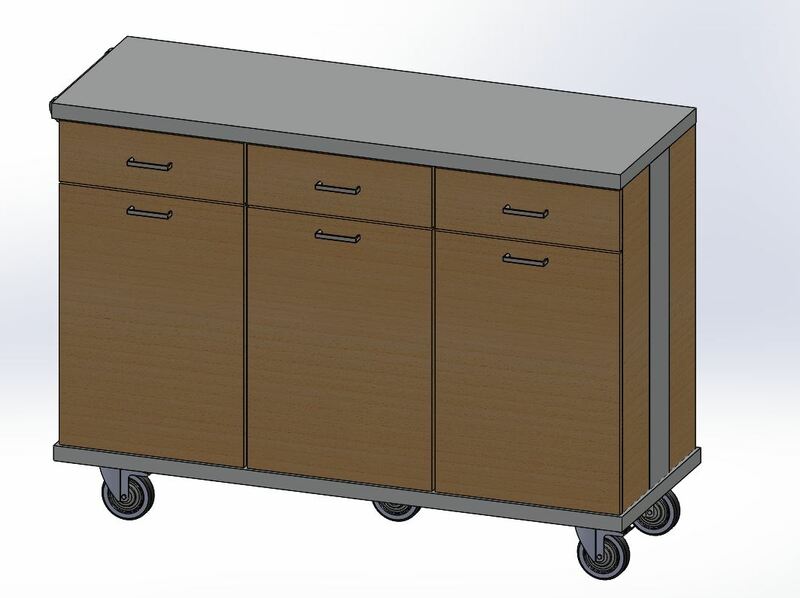 Models with 2 or 3 drawers and doors. 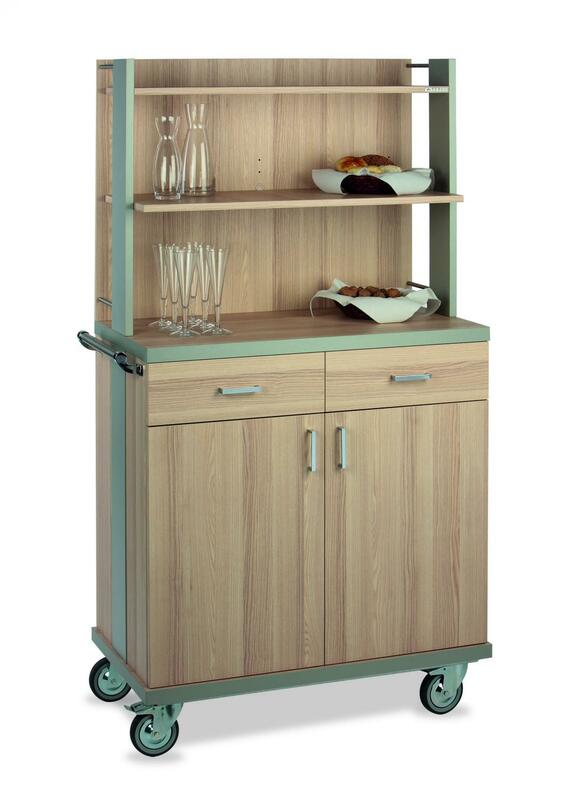 Modern dumbwaiters on castors made of laminated wood for the restaurant hall with aliminuim-look details. 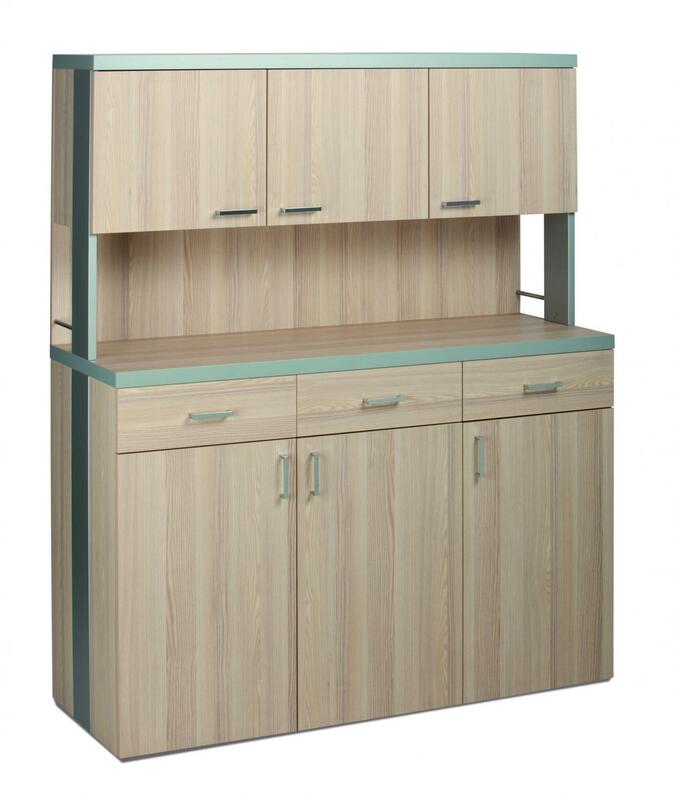 Models with 2 or 3 doors and drawers.